Insurance protection is available to protect you if your credit cards are lost or stolen. 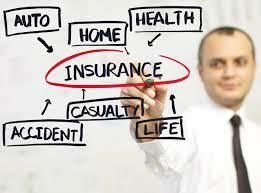 Insurance protection is also available to repay the outstanding balance in certain situations. If your credit cards are lost or stolen, you should report this information to the credit card issuer immediately. Your liability if someone else uses your credit is limited to $50 per card under the Truth and Lending Act. Some credit cards issuers offer credit card insurance. Credit card insurance is designed to provide coverage against unauthorized use of your credit card if the card is lost or stolen. Standard homeowners and renters insurance policies provide similar coverage. These policies commonly provide up to $500 in coverage for unauthorized use of credit cards. Since this coverage is provided by homeowners and renters insurance, and your liability is limited, credit card insurance may not be a wise purchase. Several other forms of insurance are available to you as a credit card holder. Each of these overages is designed to repay the outstanding balance if you are unable to do so. Credit Life insurance is designed to repay your credit card debt if you die. Some credit life insurance policies also provide coverage if you are unable to make payments because of disability. Credit disability insurance can also be written as a separate insurance coverage. These coverage’s tend to be expensive when you consider the premium, the coverage provided, and the probability of death or disability. Similar coverage can be provided more economically through regular life insurance and disability income coverage. Some insurers also offer credit unemployment insurance, which is designed to make credit card payments if you are unable to because of unemployment. Consumer credit is credit extended to the purchaser in advance of the purchase. Consumer loans are more formal, requiring an application and agreement between the parties upon the specific terms of the loan. Consumer credit has a number of advantages, including safety, convenience, flexibility, “float” (grace period), and bonuses. There are some disadvantages to consumer credit, including the cost of consumer credit (interest and fees) and over utilization.